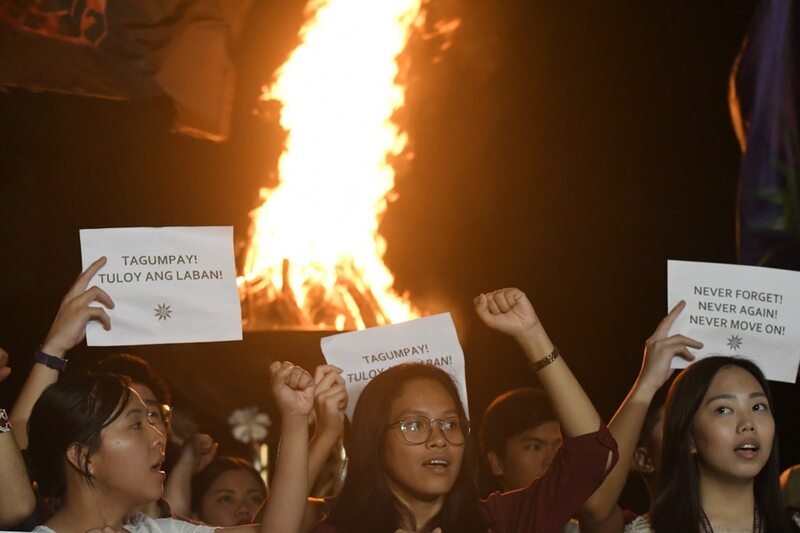 Students and faculty celebrate the Sandiganbayan’s decision finding former First Lady and Ilocos Norte Rep. Imelda Marcos guilty of 7 counts of graft, in a gathering in UP Diliman, Quezon City on Friday. The anti-graft court ruled that Mrs. Marcos used her Cabinet post to maintain Swiss bank accounts during her husband Ferdinand Marcos' reign. She was sentenced 6 to 11 years in prison for each count and perpetually disqualified from holding public office.